Oculus Rift S announced: should you get Rift S or Oculus Quest? Oculus is producing the Rift S in partnership with Lenovo, which will be manufacturing the Rift S. Lenovo as you know has its own headsets: the Lenovo Explorer Windows Mixed Reality VR headset and the Lenovo Mirage Solo standalone headset. The controllers will be identical to those of the Oculus Quest. – Inside-out tracking: The Rift S uses inside out tracking to track the headset’s location in space without any need for external sensors. In this regard, it is similar to Windows Mixed Reality headsets. I have a Lenovo Explorer WMR headset and to me, being able to use it without external sensors makes it much more convenient to use (assuming you don’t have sensors permanently attached to your room). – Higher resolution: The Rift S will have a display resolution of 2560 x 1440 (compared to the Rift’s 2160 x 1200), a 40% increase in resolution. The Rift S’s display will be the same as that of the Oculus Go, which is quite sharp and has almost no screendoor effect. The Rift S also feature a redesigned lens that improves upon the lens in the Oculus Go by having a wider sweet spot. – Increased comfort and integrated audio: Rift S was co-designed by Lenovo for improved comfort, and has a headstrap similar to that of the Playstation VR, which is more comfortable than the headstrap in the Rift. In addition, the Rift S will have integrated audio like that of Oculus Go, which has impressive audio that sounds like you are wearing an invisible pair of headphones. – Passthrough+: Rift S will be able to show a passthrough view in 3D, so you can see outside the VR headset if needed, without removing the headset and which very low lag. One downgrade is the refresh rate: Rift S refresh rate will be at 80hz versus the 90hz of the Rift. However, those who’ve tried the Rift S did not notice any practical difference. Oculus Rift S is intended to replace the Rift, which will be phased out. However, both Oculus Rift S and Rift will be fully compatible and will use the same software, now and in the future. Rift S vs. Oculus Quest: Which should you get? Both the Oculus Rift S and Oculus Quest will be launched this Spring 2019 at $399. Which one should you buy? Rift S will provide the highest quality VR experience but you’ll need a powerful PC with a VR-ready graphics card, and you’ll be tethered to the PC with a cable. 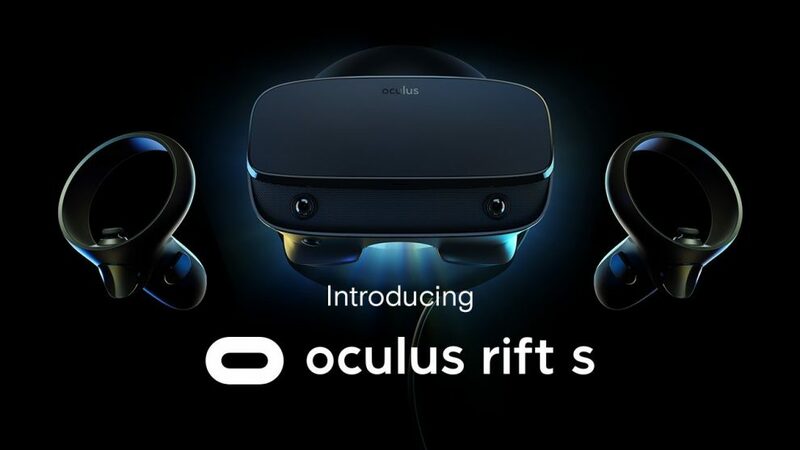 (BTW, Rift S will work with the same minimum specs for a Rift, i.e., i3-6100, 8GB RAM, GTX 1050Ti or GTX 960 or equivalent, and can work with just one USB 3.0 port and one HDMI 1.3 or DisplayPort 1.2). On the other hand, Oculus Quest is completely wireless and standalone, so it will be ready to pick up and use right away, but its image quality will be much more limited because it is relying on a Snapdragon 835 mobile processor (the same processor in the Lenovo Mirage Solo and the Samsung S8 phones). Based on these differences, it appears that Oculus Rift S will appeal primarily to PC gamers, while Oculus Quest will be for casual gamers or those who want a mobile VR headset. I will get both and will post a review. Since we photographers use our HMDs to view pictures and video is seems stupid that Oculus would downgrade the OLED screen on the new “S” to Oculus GO levels. I’ll get a Quest for the better black levels and color pop over the lame specs of the “S”. Thanks Denzel. Yes i agree. If i had to choose only one i would go with the Quest. Also, thanks for the suggestion re virtual link port!